I guess it has been a week since my last entry. I went for my photo trip and was out shooting from before dawn until well after sunset most days. It was a lot of fun, but I came home completely exhausted. I had to go back to work Monday, and today I am off to Yosemite for a two-day conference. I was going to leave at about 5 am, but one of my colleagues suggested I leave at 10:30 instead, so she could ride with me. That sounded good, so I have a few hours of relaxation before I have to leave. I think there were about 20 of us on this photo trip, but I only saw a handful of people while I was there. We were all pretty spread out. I ran into people randomly and we would greet each other with, "are you in Paul's class?" 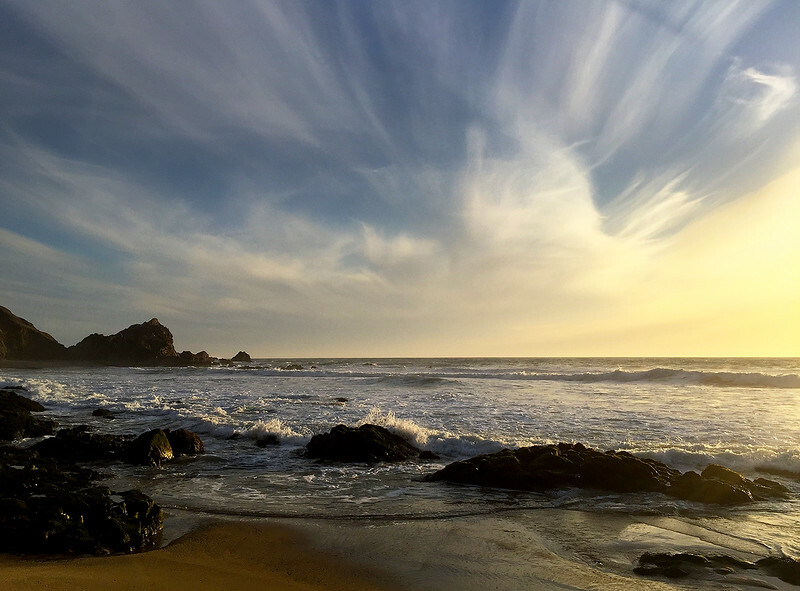 Sunset at McClure's Beach. I took about 5000 images in total, and have looked through about half of them so far. Whenever I take that many pictures, I am generally unhappy with them, probably because there are so many crappy ones to sort through to find the good ones. All I need is 8 for the class, so I'm sure I have that many. 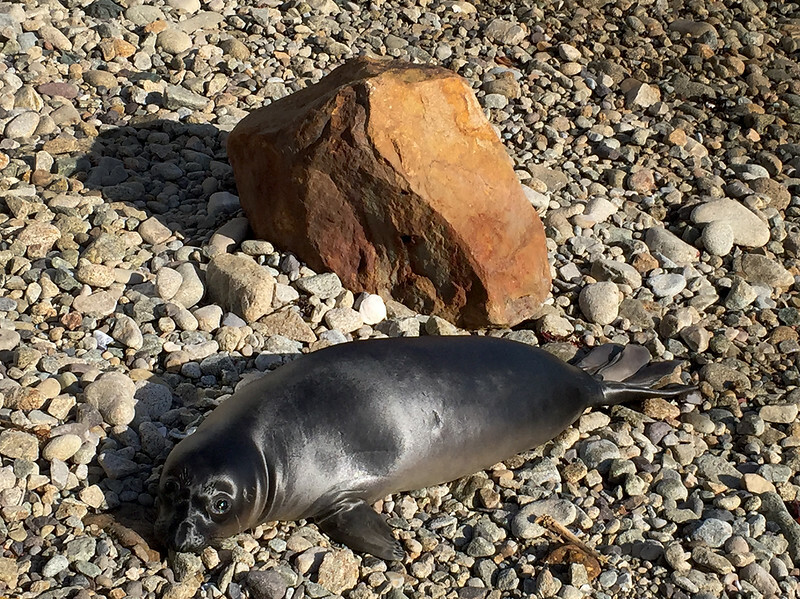 A baby seal just after sunrise. I hiked around a lot.--aybe about 25,000 steps worth each day. Even though I have been going to Point Reyes my whole life, I discovered a bunch of spots I had never seen before. It was cool to spend so much time there and be able to explore. 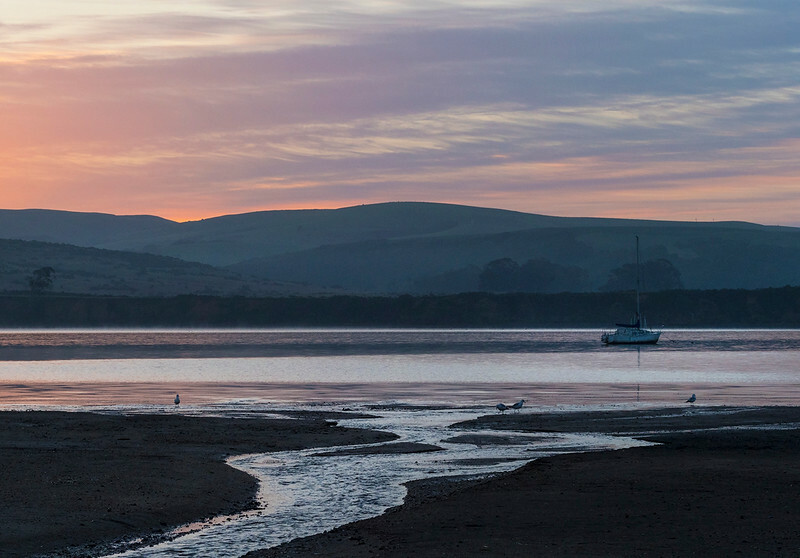 Sunrise at Tomales Bay. On the last day my alarm went off at 5 am and I didn't want to get up. I thought about sleeping in and driving home, but got up anyway and was out by 5:30 photographing the sunrise across the street from where I was staying. Once I was out I went all over the place and ended up hiking out to a remote beach. My favorite picture so far. This was fairly early in the morning, just after sunrise. 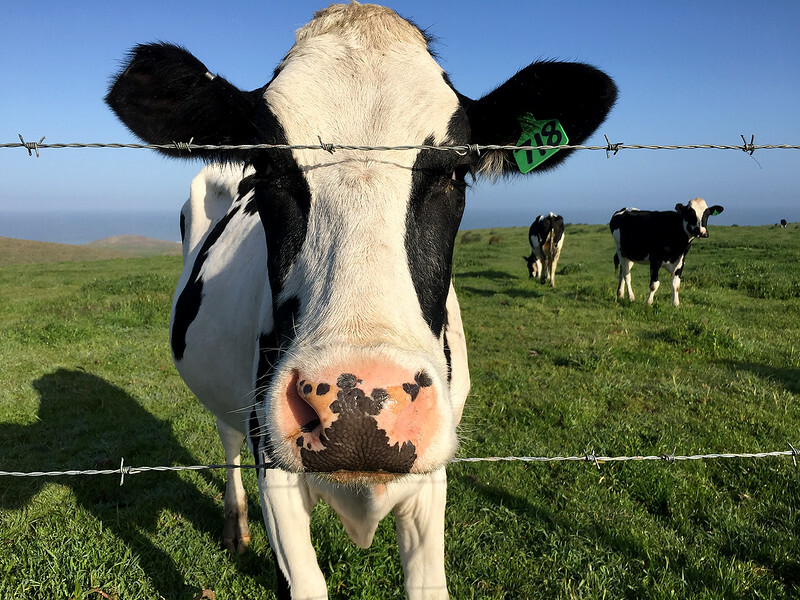 I stopped to look at the cows, and this one came over to look at me. I moved down the fence a bit, and she followed me. It's a beautiful place to be a cow. Rolling hills and pastoral fields looking out on the ocean in the distance.